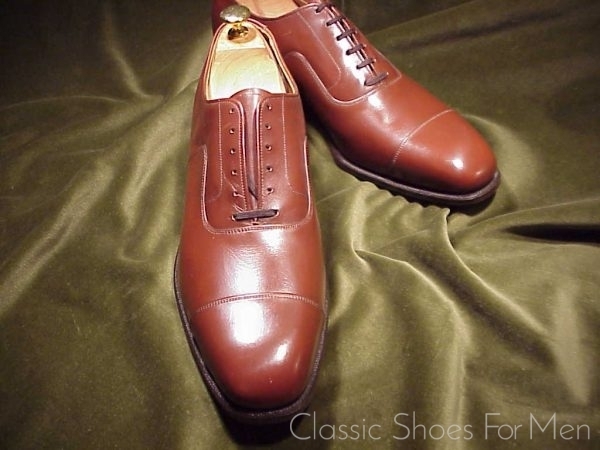 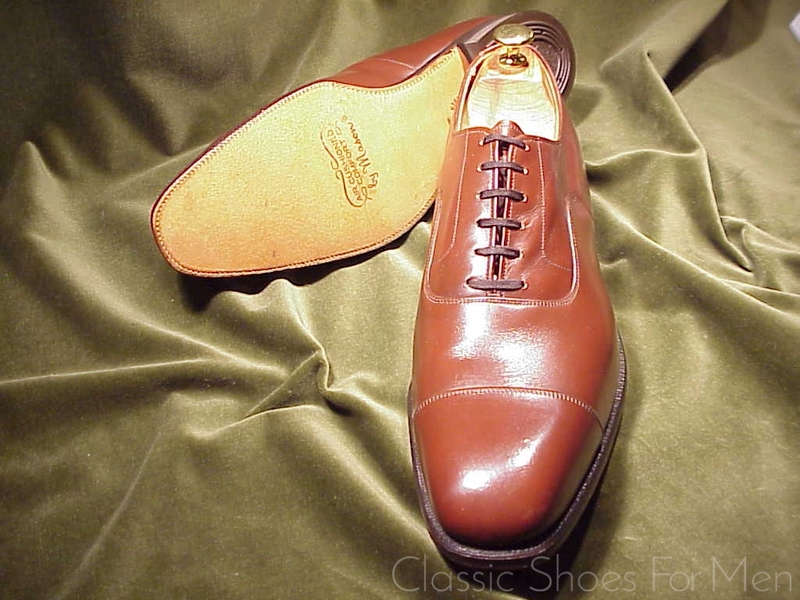 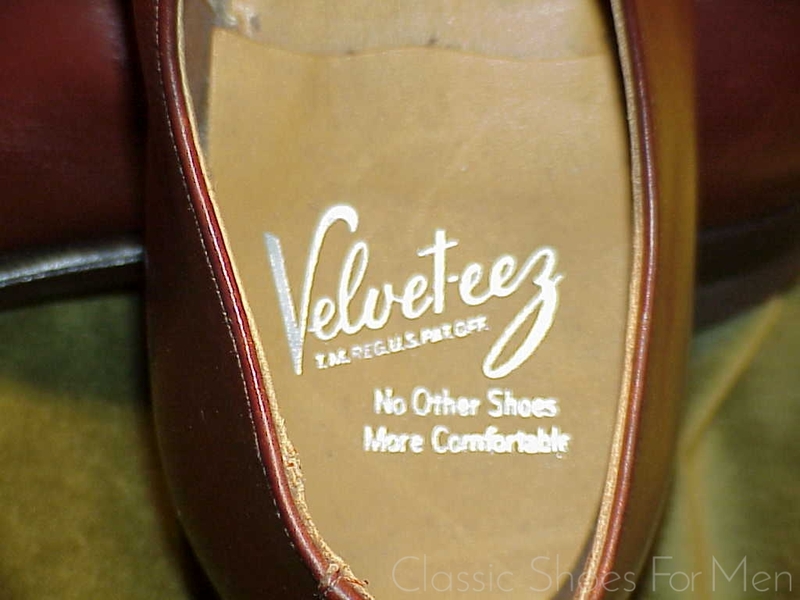 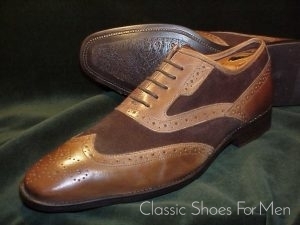 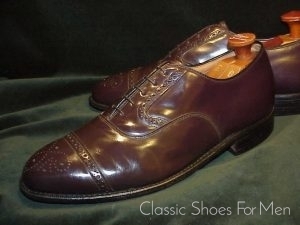 The well-known “Executive Imperial” and “Velvet-eez” trade marks of the Mason Shoe Company, Chippewa Fall, Wisconsin were well know in America into the 1970 and Mason was also known for producing shoes for high-end emporia for re-branding. 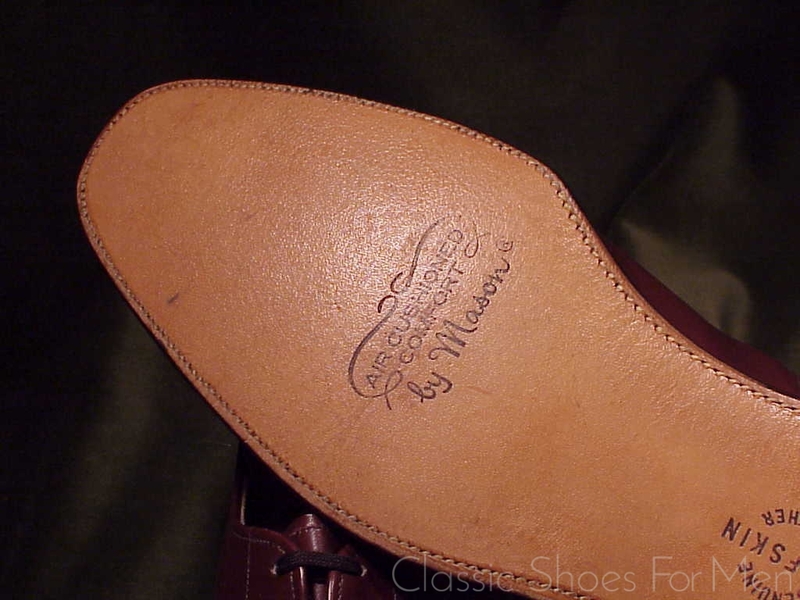 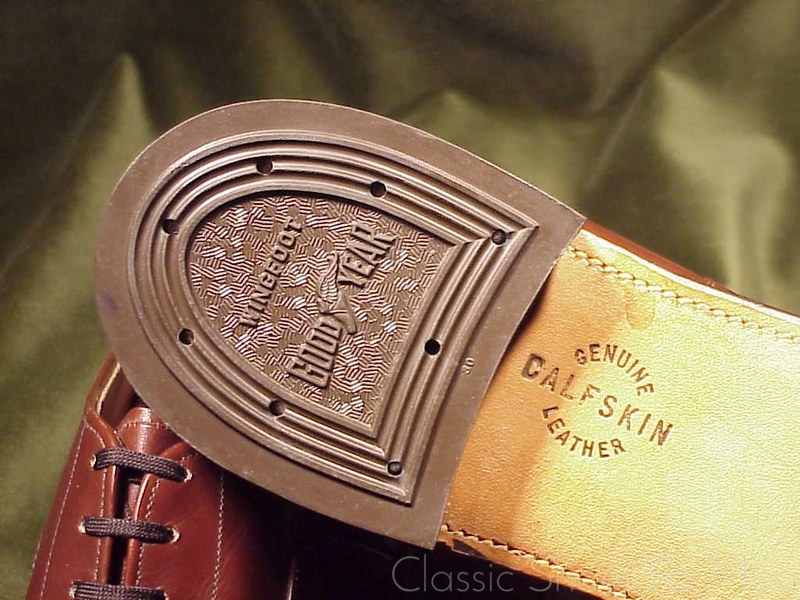 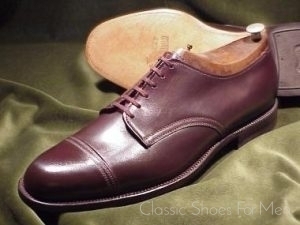 The present shoe, produced during the war years was sold under Mason’s own name and harkens more to the pre-war styles, with a more dramatic lasting, angular sole and half-canvas lining. 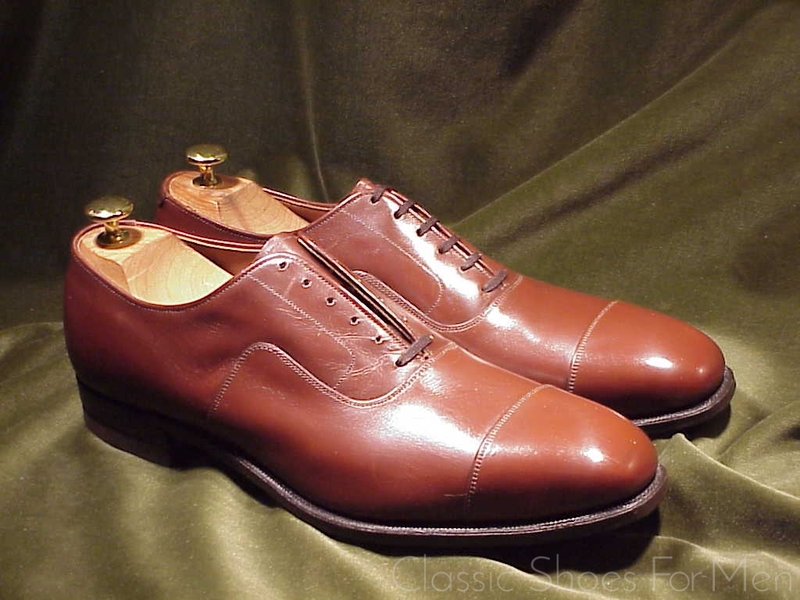 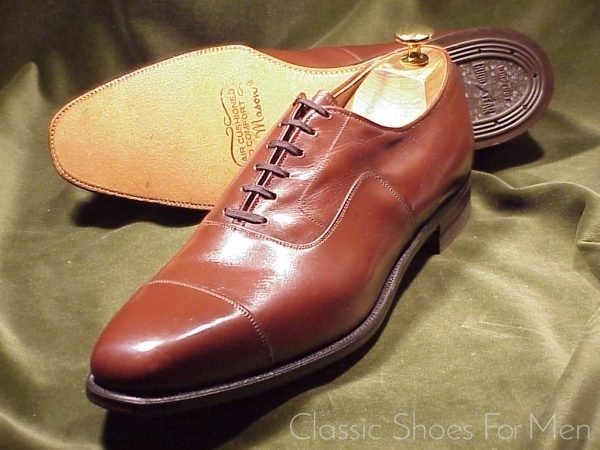 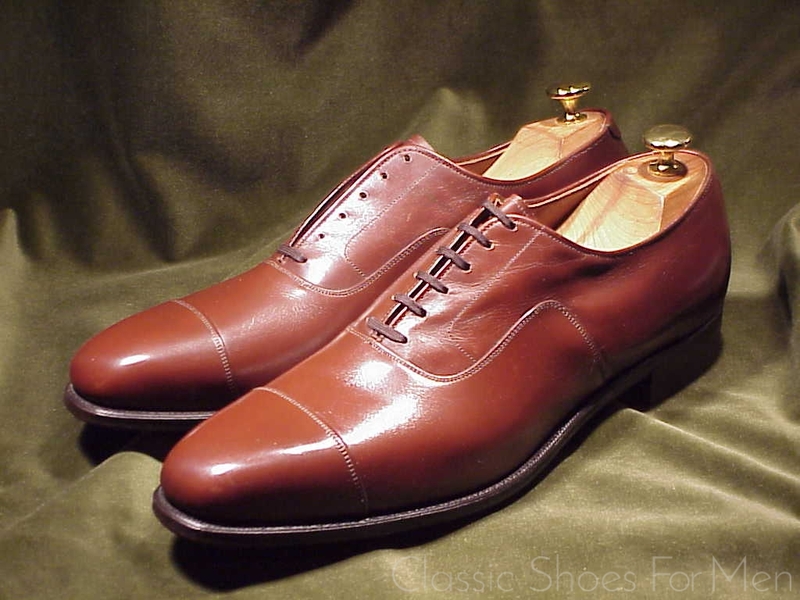 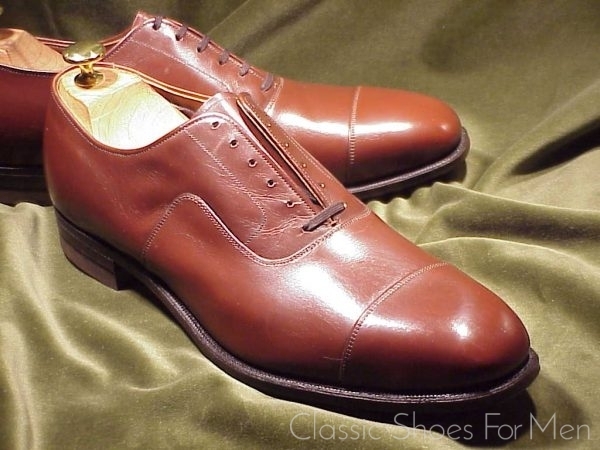 In any case, you have before you an excellent shoe, a fine example of unmitigated between-the-wars craftsmanship, and a shoe to be worn for another half century. 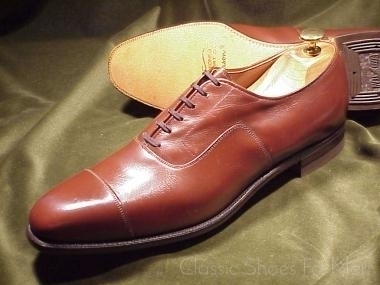 Certainly it is an undisputed classic,its place long established in the pantheon of gentlemen’s footwear. 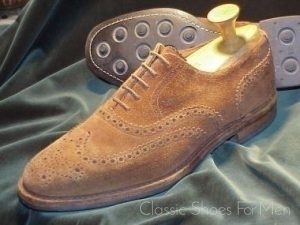 Size: US 10.5C……UK 9.5D……European 44C, for the somewhat narrower foot. 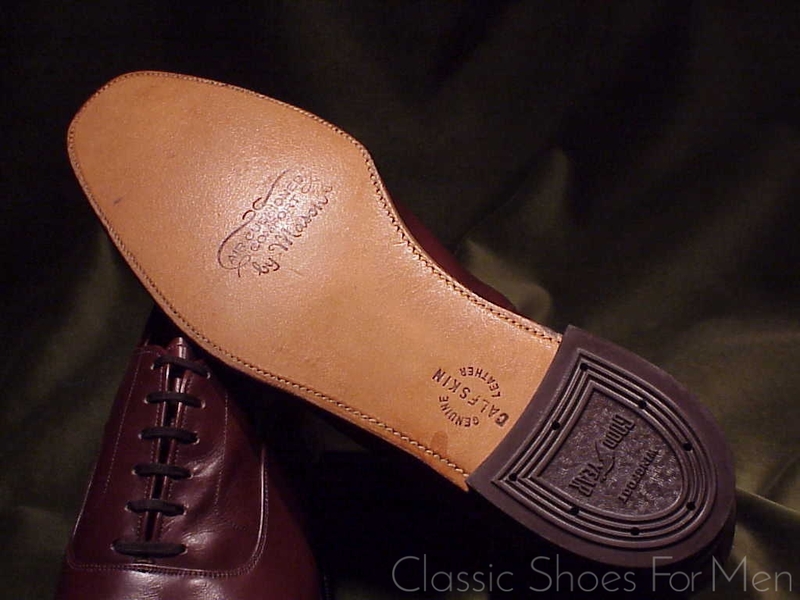 Postage: Innerhalb Deutschlands Euro 6,90; England and the E.U. 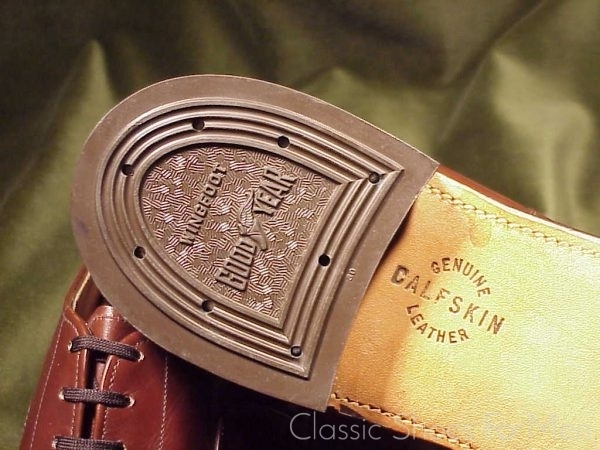 Euro 14,20; Japan and the Far East Euro 24,10…US$12.